When you call us, we will inspect your roof and suggest the best method of restoration, which might be as simple as power washing and applying a waterproof roof coating or reinforcing open seams. 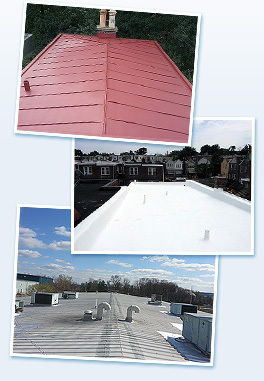 Our goal is to preserve your roof for optimal durability and performance. We offer restorative and waterproofing services to prevent leaking at the seams and to lengthen the lifespan of your roof. Our team will install a foam layer that provides insulation. Insulation keeps your building cool in the summer, and prevents heat-escape in the winter - making your roof energy-efficient and helping you to save money! We are licensed, insured, and trained to handle all your roofing needs!